This year December 24th marks the first day of the Jewish holiday, Hanukkah. Many will gather to celebrate this miraculous holiday with family and friends. Hanukkah is a very important holiday in the Jewish tradition; it is the 8 day “festival of lights” that commemorates the triumph of a group of Jewish Rebels known as the Maccabees against their oppressors, the Greek-Syrians. In the 2nd century B.C., the Greek-Syrians ruined the Jewish Temple by constructing an altar to Zeus and sacrificing pigs within the walls of the temple. In order to rededicate their temple, the Maccabees had to keep a menorah lit at all times, however, they only had enough pure olive oil remaining to keep the menorah lit for one day. Despite this, the miracle of Hanukkah was that this menorah burned for eight days. On each night of Hanukkah, a new candle on the nine-branched menorah is lit, one for each day. The ninth space on the menorah is for the candle that will light all of the other candles. Many families celebrate by gathering and exchanging gifts, reciting blessings and eating traditional foods. During this year’s Hanukkah celebration, share with your family one of Kar-Ben’s many Hanukkah themed eBooks. 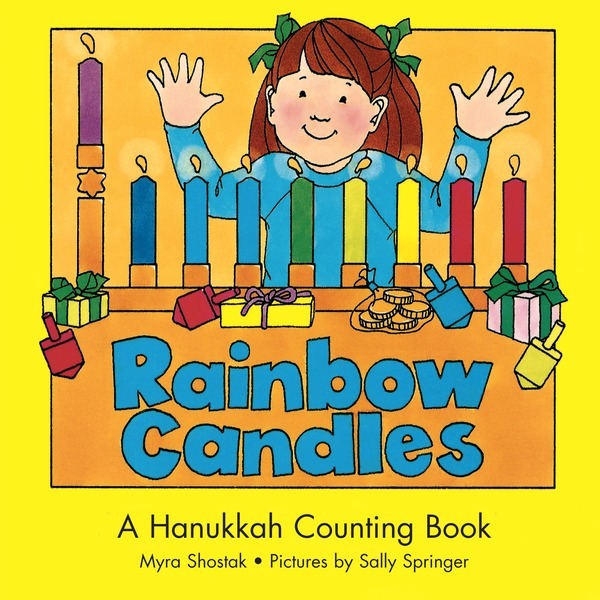 With many stories about Hanukkah celebrations such as “Happy Hanukkah Lights” by Jacqueline Jules, “Rainbow Candles” by Myra Shostak, or “Hanukkah Delight” by Lesléa Newman, Kar-Ben offers a wide variety of eBooks for all types of readers. With so many beautifully illustrated titles and stories sure to engage all ages, these eBooks are perfect to share with all members of the family during this year’s Hanukkah celebrations.